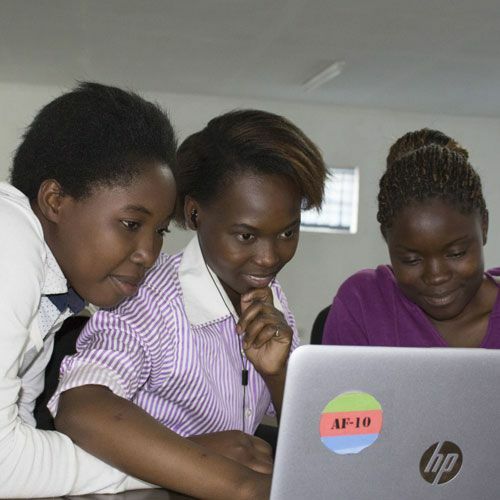 Palo Alto, California and Johannesburg, S.A – December 2, 2018 – Today at the Global Citizen Festival: Mandela 100, HP (NYSE: HPQ) announced a new commitment to reach 100,000 learners across Africa over the next three years through the HP Foundation’s HP LIFE program, and kicked off the commitment by opening a new tech-enabled HP LIFE Center in South Africa. HP’s pledge supports the United Nations Sustainable Development Goal 4 and furthers the company’s goals to enable better learning outcomes for 100 million people by 2025 and to enroll a million HP LIFE users between 2016 and 2025, as outlined in the HP 2017 Sustainable Impact Report. The HP Foundation is a nonprofit, 501(c)(3) organization that funds philanthropic programs for underserved communities where we live and work by supporting technology-related learning, charitable giving, volunteering, and disaster relief. Along with HP employees, the HP Foundation creates programs that make life better for underserved and underrepresented communities by providing technology-related learning experiences and opportunities. VR headsets show only virtual success so far, what’s next?